HOPKINTON, MA - EMC Corporation (NYSE: EMC) announced that Smith Brothers of Berne, a manufacturer of fine residential upholstered furniture, selected EMC over HP and Dell to transform its IT infrastructure. Smith Brothers significantly improved system performance, efficiency and availability of its virtualized, mission-critical and enterprise resource planning (ERP) applications including Infor10 ERP Business, Microsoft SQL, SharePoint and Exchange with EMC storage and disaster recovery technologies. The company also accelerated its just-in-time manufacturing strategy of reducing in-process inventory and the associated carrying costs for rapid fulfillment of custom furniture orders—overall increasing IT efficiency and customer satisfaction. •	Improved Reliability—Smith Brothers reduced downtime, improved the speed of its supply chain processing and furthered its ongoing commitment to high customer satisfaction. •	Increased Performance—VNXe® increased the performance of Smith Brothers' mission-critical applications by 30%, improving the speed of its supply chain. •	Fast Return on Investment—Smith Brothers expects full return on its investment in just 24 months from its implementation of VNXe and the increased reliability and performance that it provides. •	Business agility—VNXe's scalability and integration with VMware® accelerated Smith Brothers virtualization strategy and rollout of new applications, supporting faster time to market of new furniture lines. To meet its three-week delivery timeframes as a just-in-time manufacturer of custom furniture, Smith Brothers depends heavily on lean manufacturing processes. As its data volumes increased, its prior direct-attached storage solution was no longer providing the high performance and system availability demanded by its mission-critical applications. With each manufacturing downtime incident costing the company $25,000 and negatively impacting employee productivity, Smith Brothers needed to find a solution that would no longer put the company at risk of missing order deadlines and enable its infrastructure growth. After considering Dell and HP storage solutions, Smith Brothers chose EMC VNXe unified storage to transform its IT infrastructure, with the help of EMC Velocity Solution Provider BSA Data Solutions. Smith Brothers selected EMC VNXe to improve system performance and reliability, and the company leverages Local Protection Suite and point in time recovery. Smith Brothers relies on the VNXe for its mission-critical virtualized environments, including its Infor10 ERP Business and Microsoft SQL Server, SharePoint and Exchange. Additionally, Smith Brothers has virtualized 95% of its server infrastructure with VMware vSphere®. With the tight integration between VMware and VNXe environments, the company is able to implement new virtual machines in just two hours. 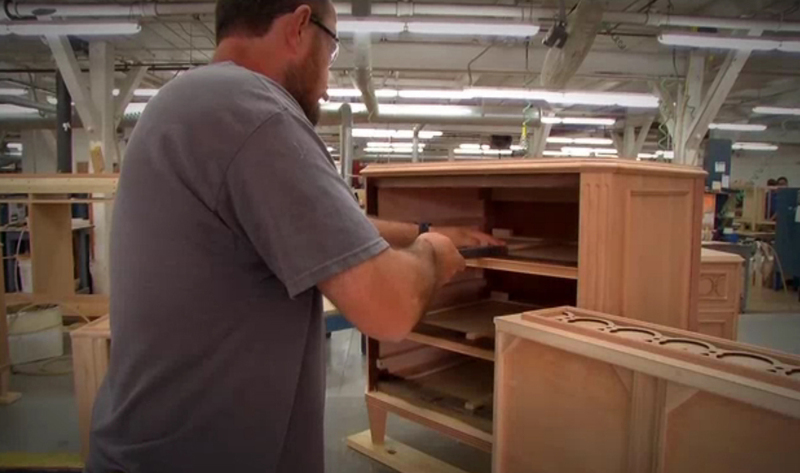 "Even though we distribute furniture across the U.S., we're still a relatively small business. VNXe provided the perfect price point with enterprise-level performance, reliability and agility for a company our size. We were up and running in only four hours and this was our first foray into unified storage. While you need some IT background, you don't have to be a storage specialist to deploy VNXe." "With VNXe, performance of our virtualized applications has increased by 30%. Jobs that used to take a few minutes now take seconds. These improvements help speed up our supply chain, which is the heart of our business." "Our virtualization journey would not have been possible without VNXe's excellent VMware integration and performance. We are rolling out a new ERP system which before would have required about seven to ten days from procurement to implementation of the servers. Now with the tight integration between our VMware and VNXe environments, we're able to implement new virtual machines in just two hours. We've also been able to add disk drives without disrupting our applications, which provides us with higher density within our storage frame. 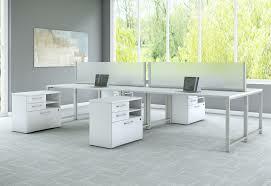 With such agility, we can improve our time to market of new furniture lines and increase our competitive advantage." "In only 24 months, we expect to break even with EMC's VNXe because of its excellent performance, reliability and ease of use. If we can avoid one instance of a four-hour production outage, the VNXe pays for itself almost immediately." "Manufacturing reliability is huge because we're a just-in-time manufacturer that's committed to delivering custom-made furniture within three weeks of our customers placing their orders. Previously, when we had an outage, it would cost us $25,000 per downtime incident because manufacturing would halt and we risked disappointing customers with late orders. With EMC, we don't have to worry about outages. Today, we can focus more on satisfying our customers because of the reliability provided by VNXe unified storage."